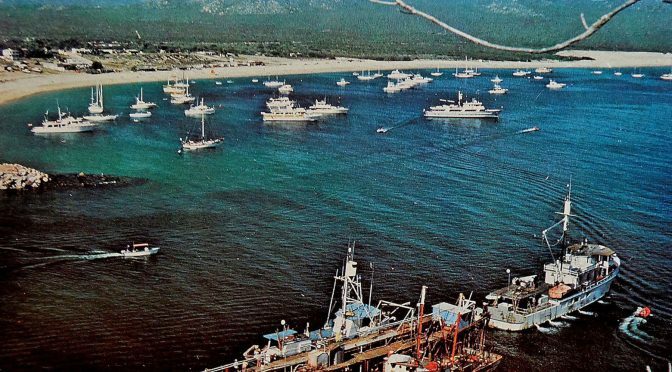 Aerial view of Cabo San Lucas Harbor early 1970s Old Cabo, when drugs were good and we were bad, somewhere in the early 1970’S. LOOKS LIKE Hotel Solmar, THE HACIENDA, FINESTERA AND MAR DE CORTEZ. Photo courtesy of Mike at Latitude 22+.